Whether the stain is ketchup, tomato sauce, or a juicy fresh tomato, tomato stains are easy to remove if you follow some simple steps. 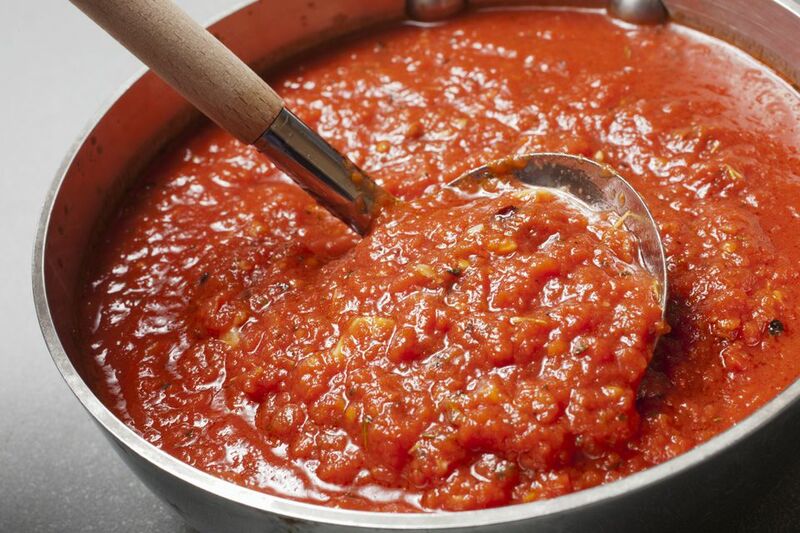 And, if you have some extra ketchup on hand, you can use it to clean everything from copper pots to car bumpers! Tomatoes and tomato sauces are found in cuisine from around the world from Mexican to Italian to classic American BLT sandwiches. And, of course, ketchup is one of America's favorite condiments until it lands on your shirt or tablecloth. Tomato stains are a tannin stain; a plant component that often shows as a color in the final product. Fresh tomato stains can usually be removed simply by washing the stained fabric as soon as possible using a good quality, heavy-duty enzyme-based laundry detergent like Tide or Persil using the hottest water recommended for the fabric on the garment care label. To be sure the stain is removed with just one washing, work a bit of the liquid detergent or a stain remover into the stain before tossing it in the washer. Work the stain remover into the fabric with your fingers or a soft brush and allow it to sit on the stain for about ten minutes before washing. Never use natural bar soap or soap flakes to remove tomato stains because they make tannin stains more difficult to remove. Older tomato stains on fabric may need to be treated with bleach to remove the tannin's dye that remains in the fabric. Chlorine bleach can be used on natural fiber white garments and linens following package directions. Do not use chlorine bleach on synthetic fabrics because it can cause yellowing. Use a color-safe oxygen bleach (brand names are: OxiClean, Nellie's All Natural Oxygen Brightener, or OXO Brite) for synthetic fabrics and all washable colored fabrics. Following product directions, mix a solution of the oxygen bleach and cool water. Completely submerge the stained fabric and allow to soak for at least four hours or overnight. Wash as usual. If the garment is labeled dry clean only, point out and identify the tomato stain to your professional cleaner. If you are using a home dry cleaning kit, be sure to treat the stain with the provided stain remover before putting the garment in the dryer bag. As with any stains, quick treatment is best to remove tomato sauce and ketchup stains from carpet. The longer the stain remains on the carpet, the more difficult it will be to remove. Start by using a dull knife or the edge of a spoon to lift any solid matter from the fibers. Do not use a cloth or sponge because that can push the stain deeper into the fibers. Try not to make the stain any larger by rubbing. Working from the outside edges of the stain toward the center, use a white paper towel or clean white cloth that has been dipped in clear water to blot the stain. Keep blotting until no more color is transferred from the stain. Mix one teaspoon of heavy-duty laundry detergent with two cups cool water. Using a clean cloth or soft brush, work a bit of the solution into the stained area. Do not oversaturate the carpet. Allow the solution to work for ten minutes and then rinse by sponging away any residue with a clean cloth dipped in plain water. Allow the carpet to air dry. If the stain remains, mix a solution of oxygen bleach and cool water following package directions. Apply a bit of the solution to the stained area and allow to work for one hour. Rinse by sponging away solution with a clean white cloth dipped in plain water. Allow to air dry and vacuum to lift carpet fibers. Follow the same steps for removing tomato stains from upholstery. Be sure not to overwet the fabric. Allow to air dry away from direct heat or sunlight to prevent shrinkage and fading. If the upholstery fabric is silk or delicate, allow a professional cleaner to remove the stains or consult with you if you need more stain removal tips.. If you are teaching a child how to treat stains and do laundry, use a bit of humor to keep it fun! Q: What did the Mama Tomato say to her slow-moving Little Tomato?